Let us introduce you to our city's new place brand - Redlands Coast. Building an inspiring, authentic and progressive place brand is essential to our success. It helps us reach our full potential as a vibrant city of villages and islands. It helps us enhance our community pride, achieve growth in tourism, attract investment, create local jobs, and progress our future. Our Redlands Coast brand is not only emotionally powerful but true. True to the place, true to its people and true to the experience you find here. It’s true because every Redlander has shaped the place we call home. We are excited to share our brand with you, it is Naturally Wonderful. Our brand story is captured in a video. We invite you to watch and use it as inspiration for your next day trip or holiday, or when seeking opportunities for business, investment or education. What is a place brand? Our brand is the essence, or personality, of the Redlands. It makes us distinctive, memorable and different from other places. It promises a unique kind of experience. It guides expectations of what others will see and do, and importantly, how they will feel. Our brand defines characteristics and personality into a simple and moving story about us as a place, people and purpose. It is a story that inspires all of Redlands Coast’s community, business and industry to strengthen what is already within us. For as long as we can remember, the coastline has inspired thousands of people to live and visit the Redlands. Its natural diversity as a unique coastline offers everything from Queensland’s best surf beach (Cylinder Beach) to hidden treasures and little adventures scattered along the waters of southern Moreton Bay and makes it the envy of those around us. Our people and our visitors have very positive perceptions of our naturally wonderful lifestyle. They see our part of the world as beautiful, friendly, and full of opportunity. However, in today’s intensely competitive landscape, our place needs to work harder than ever to make sure RC stands out from the crowd; to attract the best talent, trade and investment, job and tourism growth opportunities. That’s why we undertook a comprehensive research and consultation process to understand local and travellers’ perceptions of RC. To inform and test this brand, we spoke to more than 5,000 people in our community, locals, businesses, industry and visitors to dig deep and understand what makes Redlands special. This new place brand is not an official name change for Redland City, nor is it a new identity for Redland City Council. The council logo remains. This new brand is for the city and belongs to all of us. That’s why we gained valuable input from more than 1,700 people through surveys, 700 locals through face-to-face discussions, and held more than 20 workshops around the Redlands. We gathered rich insight from more than 80 tourism industry stakeholders, and engaged more than 4,200 people online through the ‘Our Redlands’ project. 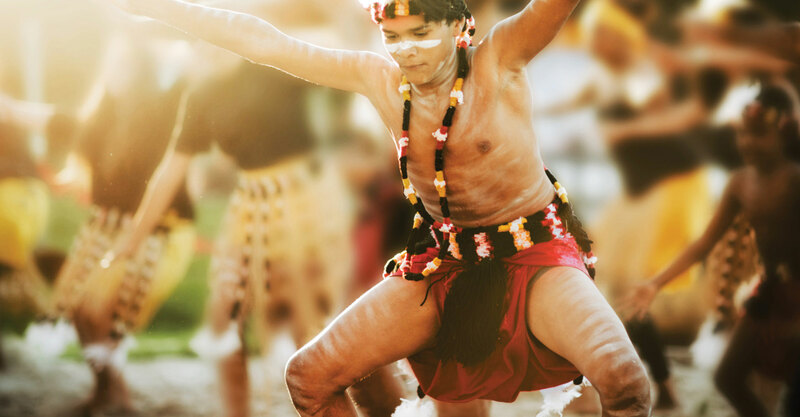 We consulted with the city’s Economic Development Advisory Board, Tourism Sub-Committee, Chamber of Commerce groups, Aboriginal elders, business working groups and tourism bodies, including Brisbane Marketing and Tourism and Events Queensland. We also closely looked at what other destinations around us are doing. With the diversity of our landscape and people, we are many things. We looked carefully to uncover who we are and what we stand for. Locals are passionate about the nature of the Redlands both in its natural surrounds and in the nature of our people. Capturing the essence of Redlands Coast as Naturally Wonderful was the clear choice through community engagement. Locals developed the tagline themselves in research groups, citing that it’s just true to who we are. Redlands Coast is a naturally wonderful place. It is vibrant, inclusive, connected and full of natural beauty and attractions. 'Naturally' is the rhythm of life here. The name ‘Redlands Coast’ is about embracing our idyllic location and celebrates the approximately 335km of coastline that unites us. We have more coastline than other places, including the Sunshine Coast. While it might not be all white sandy beaches, our rich and diverse coastline is its own kind of ‘naturally wonderful’ along every twist and turn from Thorneside to Redland Bay and fringing our seven magnificent islands. The water lifestyle is cherished by our people and attracts our visitors. Our connection to the water drives our way of life, inspires us and enriches our everyday. We are water people, we are ‘coasties’. Why does a place need a logo? For a place or city, the identity helps create positive and distinguishing associations for people. The identity can provide an immediate visual trigger to a set of emotions or ideas that put a city in the best possible light. They can capture the world’s imagination, instil pride and a sense of place among its people, and spark economic growth through tourism and business investment. For a long time Redlanders have voiced their frustration about the need to explain where they live to others. There is a disbelief that others don’t know where our hidden gem is located and there is unrest for the frequent response – “it’s not Redcliffe”. A strong new place name and identity is about making locals proud, supporting local business and industry and investing in our future. The diversity of Redlands Coast as a city of villages and islands and its connection to strong cultural ties became a sacred concept when designing a logo. We celebrated the identity of the city through colour, forms, rhythm and authenticity. The logo has been designed to be as multifaceted as the city itself. It reflects different aspects of the city, from opportunity to vibrancy, and is about being visionary as well as capturing our passion. Becoming a progressive city is a call by many participating in the project, so representing this required a forward-thinking approach to the logo design. Renowned artist Delvene Cockatoo-Collins, whose family belongs to Quandamooka Country and who designed the 2018 Commonwealth Games medals, contributed to the Redlands Coast logo design. The symbols in the middle of both the ‘r’ and the ‘c’ of the logo subtly represent the physical elements of the land and sea, including the shells on the coastline and the landscape within the Redlands. The essence of the beaches and coastline, the patterns of the shells, the rhythm of the waves and their impact on the soft sand lines which shift with every tide are forever marked within the shells that are brought with the tideline. The logo takes on many forms and meanings depending on who is looking at it. For our islanders, they see a city proud of its island communities, for our Quandamooka elders, they see footprints walking softly on country, and their connection to the dolphin. Our young locals see something alive, modern and exciting. Many see our natural surrounds and connectivity. It is a recognisable ‘RC’ and it’s designed to speak boldly about who we are. It shows Redlands Coast as an upcoming new player on the national stage, it captures the passion and creativity of its people and provides the city with a unified, flexible and future-focused image. It allows Redlands Coast to grow and evolve along with its changing landscape and population and connect dynamically with future opportunities. A degree of flexibility has been built into the Redland Coast image, leaving room for our evolving natural energy and creative interpretation. The RC design will become an icon for Redlands Coast, synonymous with the naturally energetic rhythm the city of islands and villages is today and the opportunity it will uncover for the future. The place brand is a long-term commitment and we will continue to engage and consult with you to ensure that we’re providing the right kind of tools and resources to amplify the voice of RC through all of our collective communication and marketing efforts. We welcome you as you stand with us for who we are as a destination. Together, we can strengthen the rhythm of our new brand by speaking positively about and promoting the area’s abundance of naturally wonderful features.